We´ve done it again like 2016. Ferienhaus Coral Belle has been selected for the 2017 Best of Cape Coral Award in the Cottages category by the Cape Coral Award Program. Wir haben es schon wieder geschafft nach 2016. 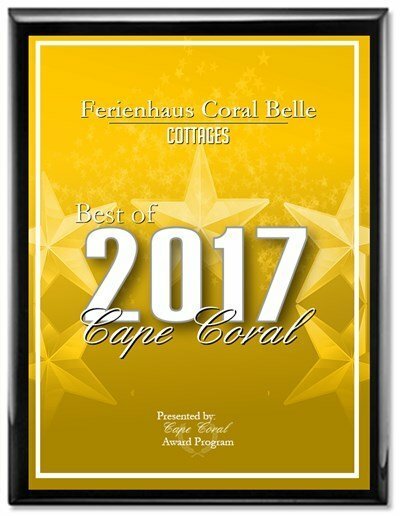 Ferienhaus Coral Belle wurde für den den „2017 Best of Cape Coral“ in der Kategorie Cottages vom Cape Coral Award Programm nominiert.